AIRTEL Zambia has donated 60 double-sitter desks valued at K40, 000 to Hamajaata community school in Chief Sinadambwe area in Siavonga district. Airtel area sales manager Edwin Mwampatisha said Airtel was passionate about education and changing the lives of the less privileged children in the country. “This is why you keep seeing us going around supplementing Government’s efforts as regards education,” he said. 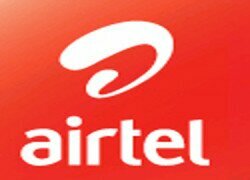 He said quality education was key in securing the social economic development of any country hence the decision by Airtel to invest in education as one of the key pillars of the company’s Corporate Social Responsibility. “Our aim is to create a positive impact and help lay the foundation for social and economic development in Zambia, that’s the reason why we are gathered here today to donate 60 double sitter desks valued at K40,000 to Hamajaata Community school,” he said. Mr Mwampatisha said Airtel supported a number of schools in Zambia through various donations of books, computers and other educational items as well as put some street children back into school.Airtel was also involved in educational programs with Taonga community school in Lusaka’s Linda Compound, Mngoza in Petauke, Lukalanya in Mongu, Siavonga Primary in Siavonga, Chirundu Secondary in Chirundu, and Siasiakabole School in Choma District. The company has also partnered with the British Council which has resulted in thousands of pupils access internet connectivity in the School Internet Digital Hubs doted across the Country. And Hamajata school Head teacher, Acklay Hanyimba said the gesture by the mobile company had demonstrated its commitment in helping the less privileged in society. “Our school has been in need of desks for a very long time and because we are quite far from Siavonga town, we are usually forgotten. So today it brings a smile on our faces when Airtel can come all this way and help at least 120 pupils sit on proper desks and not the logs they have been using since inception of the school,” he said.